In today's post I wanted to share some of my favourite festival tips for this season in both the Netherlands and Belgium! No plans for the weekend and dying to get out and dance? Here’s my festival tip for this weekend … Dance Valley. A festival filled with all your favourite dance tunes and dj’s like; Chuckie, Franky Rizardo & Nicky Romero. This year their celebrating their 20th anniversary so it’s going to be an even bigger party than previous years. Dance Valley takes place at Velzen, near Amsterdam and kicks off tomorrow at 12 o’clock. Are grant festivals not your thing and are you looking for a little gem between the masses? Than look no further, I’ve got three words for you … WE … CAN … DANCE! O yes we can! We Can Dance launched its first festival last year and it immediately won the Red Bull ‘Best Breakthrough Festival of the Year’ Award. It’s the perfect fun bohemian party, filled with blow-up flamingos, delicious cocktails by Hannah Van Ongevalle and fab beats to dance the night away while enjoying the sunset along the Belgian coast! 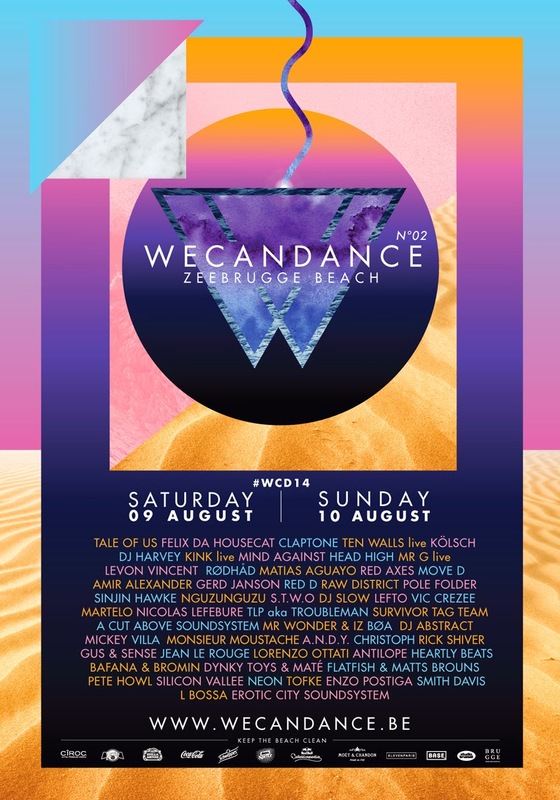 So fancy discovering something new, than check out We Can Dance on the 9th and/or the 10th of august at Zeebrugge. Always liked a good fancy dress party? Than Valtifest is the perfect festival for you! Each year they have a new dresscode, which all visitors are eager to live up to. This year the theme is ‘The 7 sins’, so you could think of dressing like; a big scrooge, the seven dwarves, a brothel ganger or what have you! The line up features; Benny Rodriguez, The Cat Carpenters & Joost van Bellen. Valtifest takes place at the NDSM-Wharf in Amsterdam at the 6th of September. We had missed this festival Four years ago and was determined not to this year. We thought to go during the evening thinking that it would be cooler, how wrong we were. With the bright lighting, lots of cooking going on and the people, it was like an oven.